Hi everyone, it’s Quentin here. 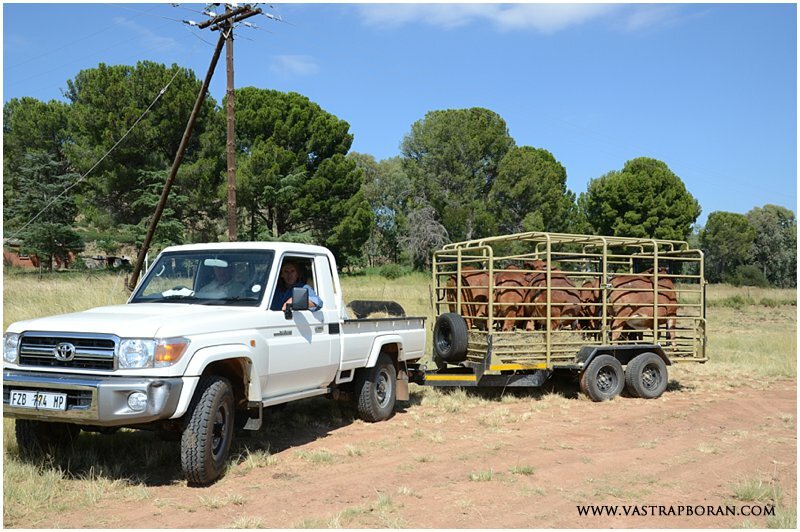 We are starting to gear up for the 2017 Vastrap Auction, which will be held on Friday, 18 August. 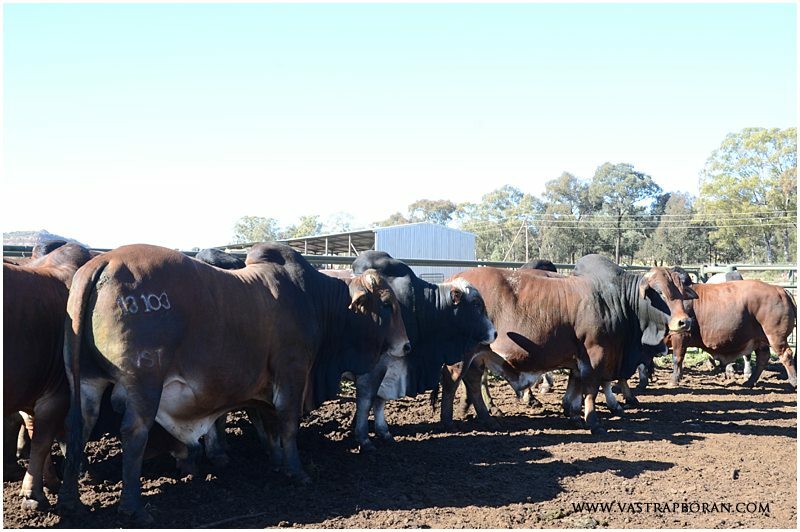 This weekend, while taking photos of the new crop of 3 year old bulls that we’ll be offering, I noticed something which highlights the great value for money that can be had at our auction. 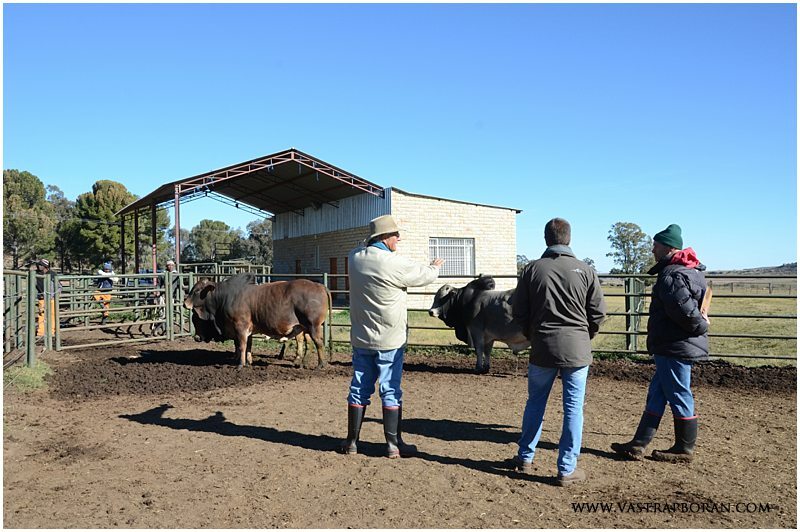 We pride ourselves in our rigorous selection process for our bulls (see Bull selection & performance testing), offering only the best bulls for sale each year. 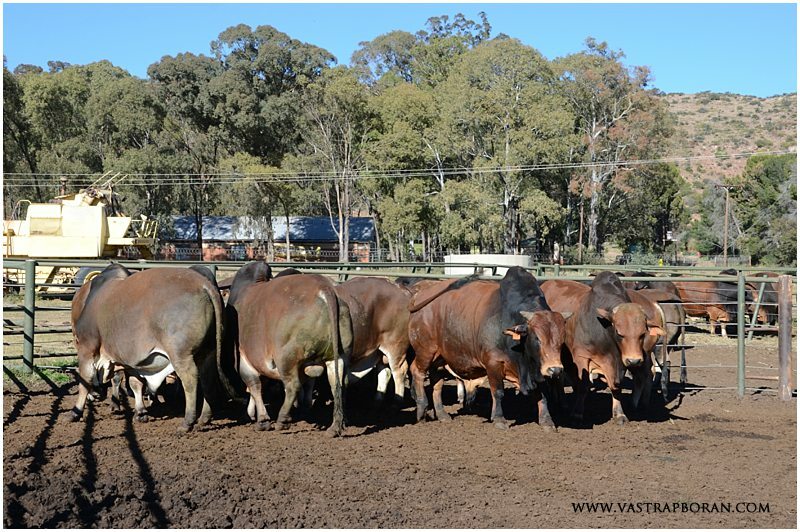 There is something for everyone, bulls that will be an asset to any herd, stud or commercial, at very affordable prices. 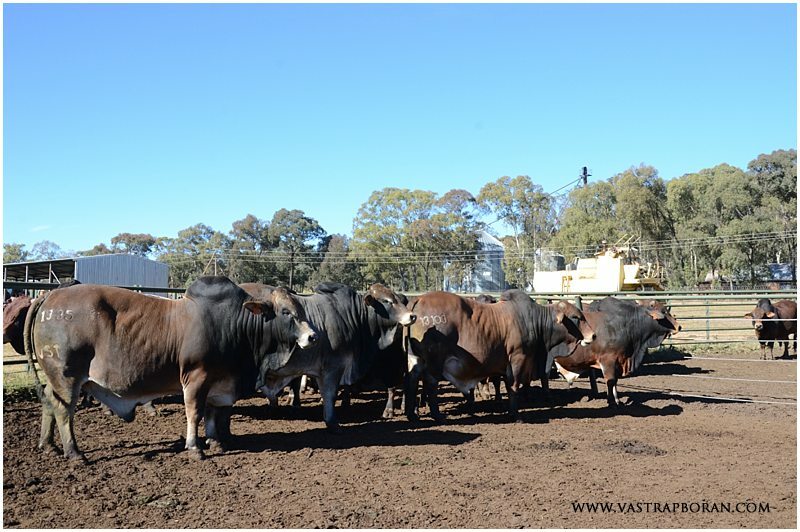 The photos below illustrate how bulls that did not get sold at the auction last year, which I then held back to use in the Vastrap herd, have developed. 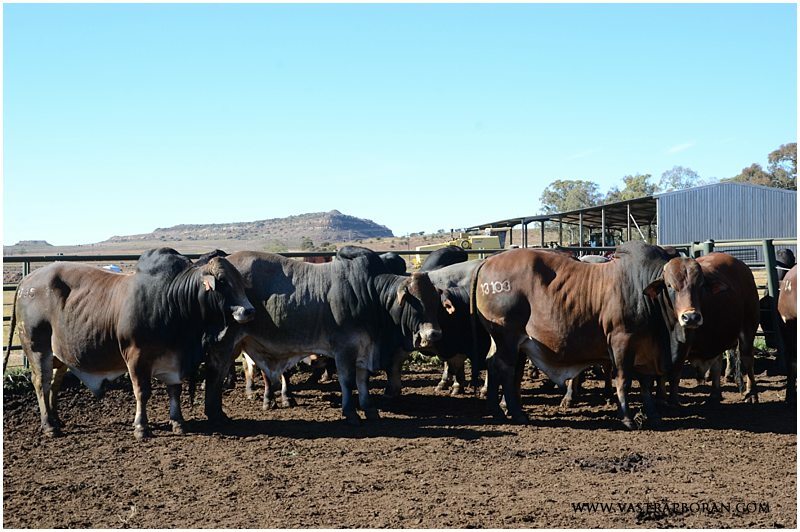 These bulls could have been snapped up for a steal last year! 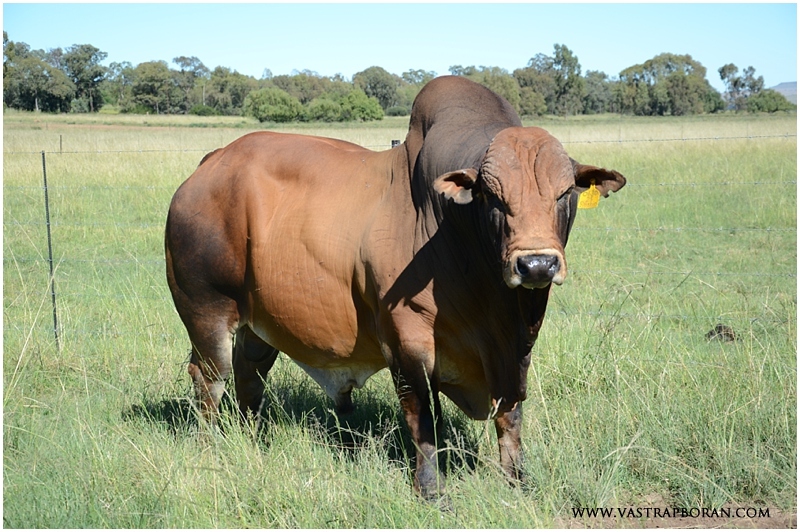 Two of the bulls offered at the 2016 Vastrap Auction (full brothers out of a Jackie/Khan mother, VST 13-59 & VST 13-102), which I really liked, did not get a bid. When they were not sold I kept them to use in the Vastrap herd. 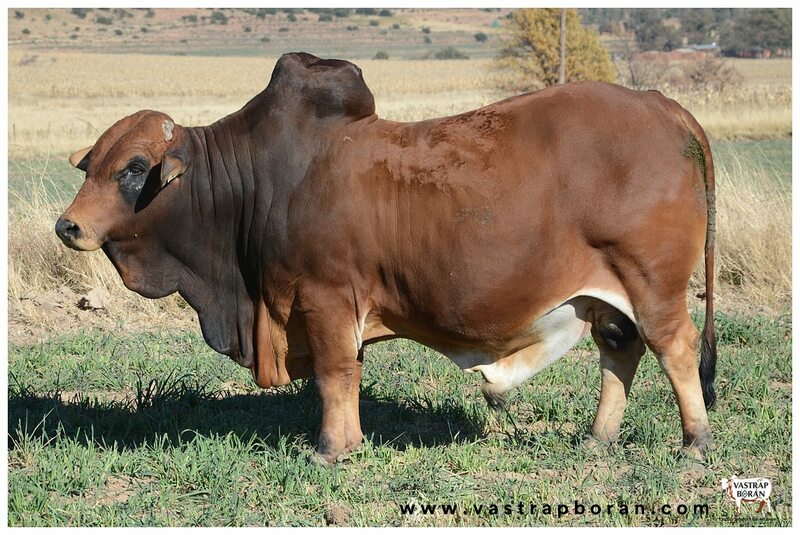 Another bull – a Goliat son VST 13-36 – was not offered at the auction because he was slightly less developed and I thought there were better Goliat sons in the auction group. 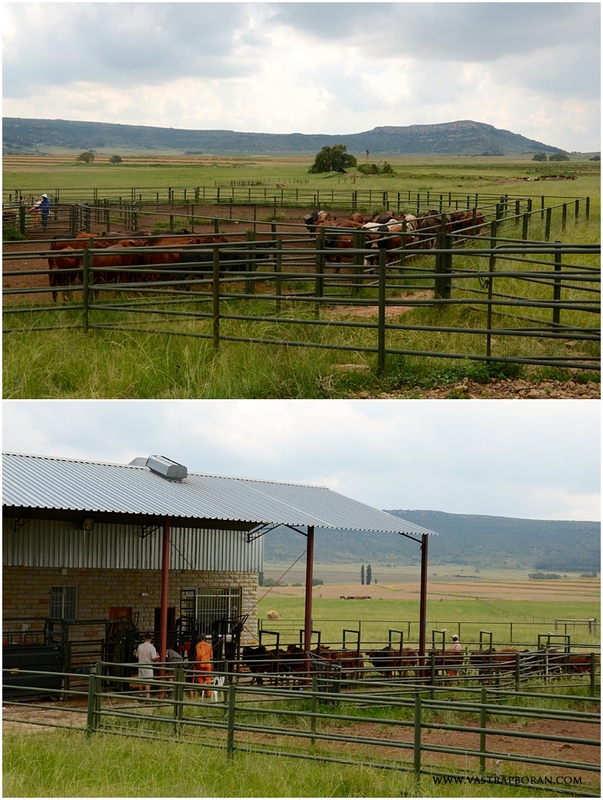 Here are some photos of the three bulls as they look now. I think that they have developed into pretty nice specimens and I am very happy to have them in my herd. 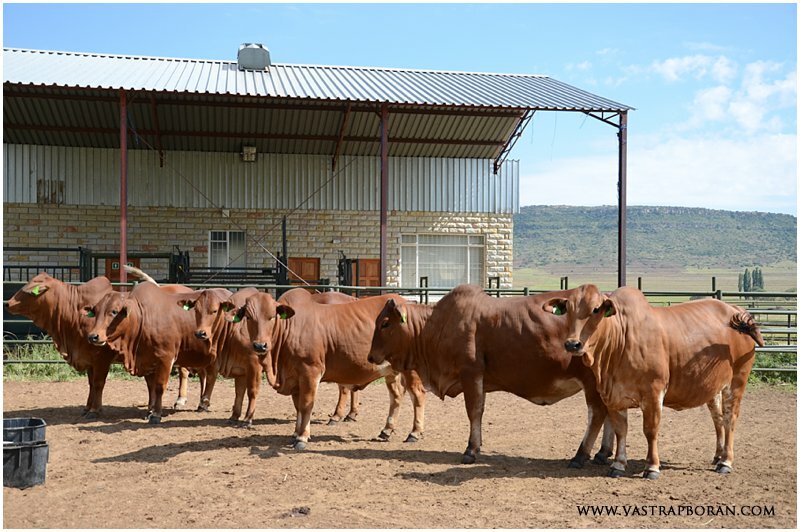 The main reason I wanted to share these photos is to demonstrate the real value for money you can get at the Vastrap Auction: a buyer could have picked these stunning bulls up for R18’000 last year and several others that went for between R20’000 and R25’000. 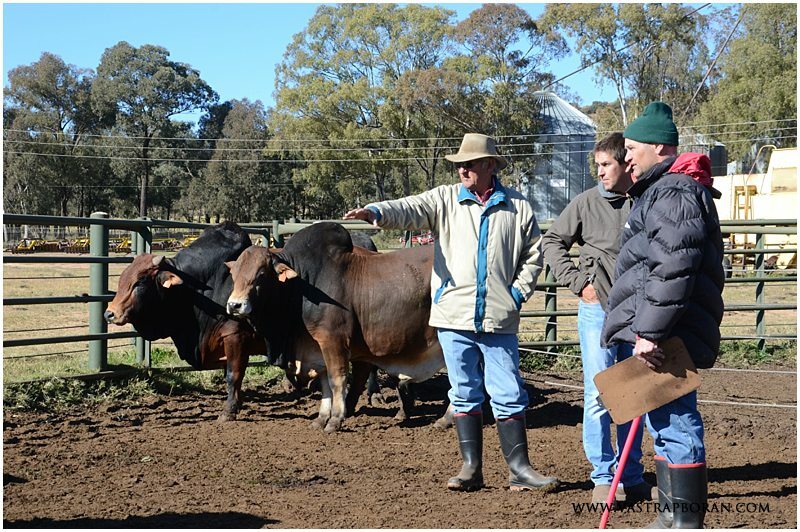 Another reason was to demonstrate that Boran bulls only actually reach their prime at about 5-6 years and that one needs to factor this in when buying bulls. 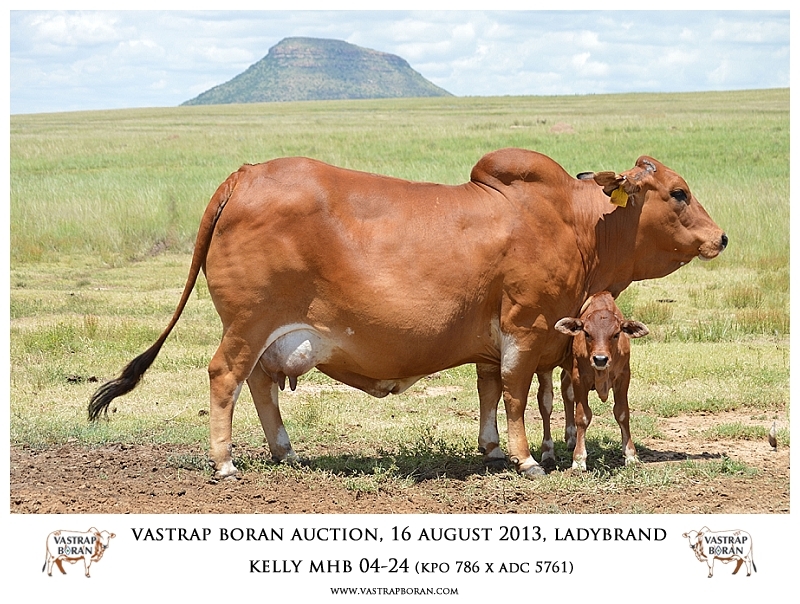 The bulls we sell at the Vastrap Auction are all between two and a half and three years of age and 100% veld raised. 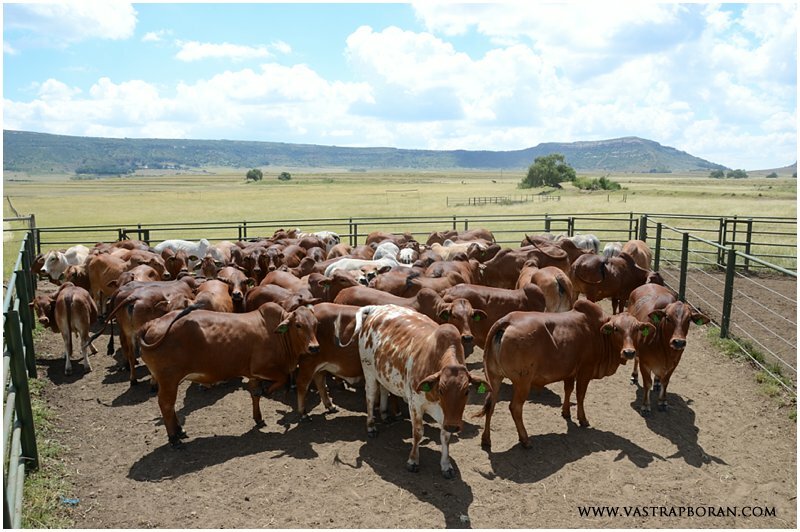 They are selected by their performance against each other on veld conditions and they are only made auction ready for the three months after selection. For the discerning buyer, there are both very good value for money bulls and future herd sires available at reasonable prices. 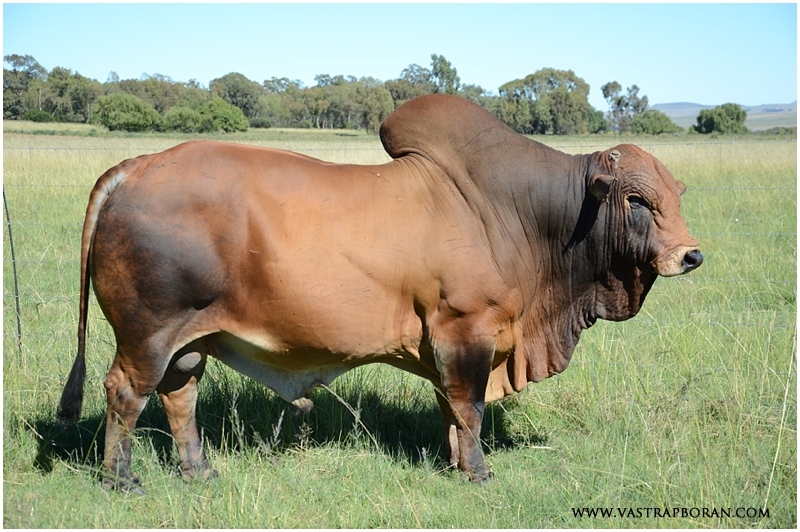 I have sold all my previous herd sires at extremely good prices to fellow breeders after I have used them for 3-4 years. 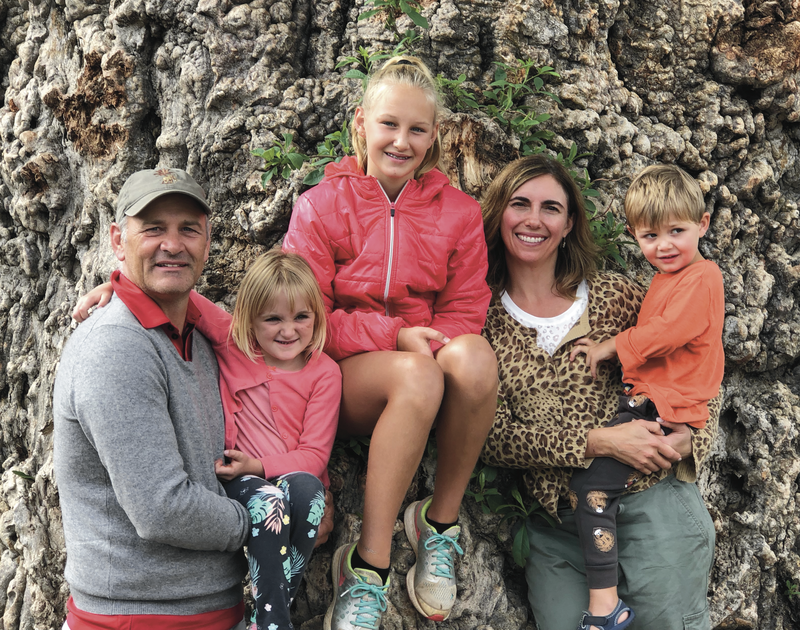 It amazes me these bulls can sell for hundreds of thousands, yet people are not prepared to pay nearly the same for their sons that have been put through a much more rigorous selection process than their fathers and should perform better in the long-run. 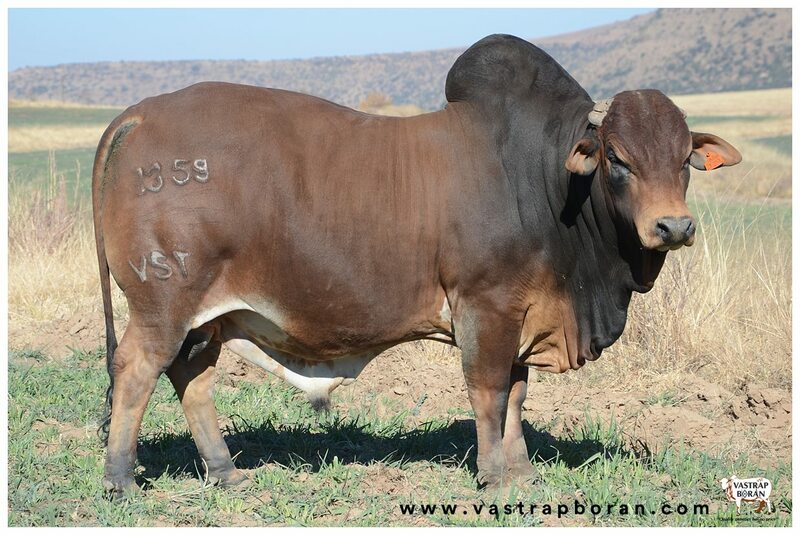 We look forward to introducing you to our selection of bulls for the 2017 Vastrap Auction in the weeks ahead! Please let us know if you would like to be added to our mailing list. 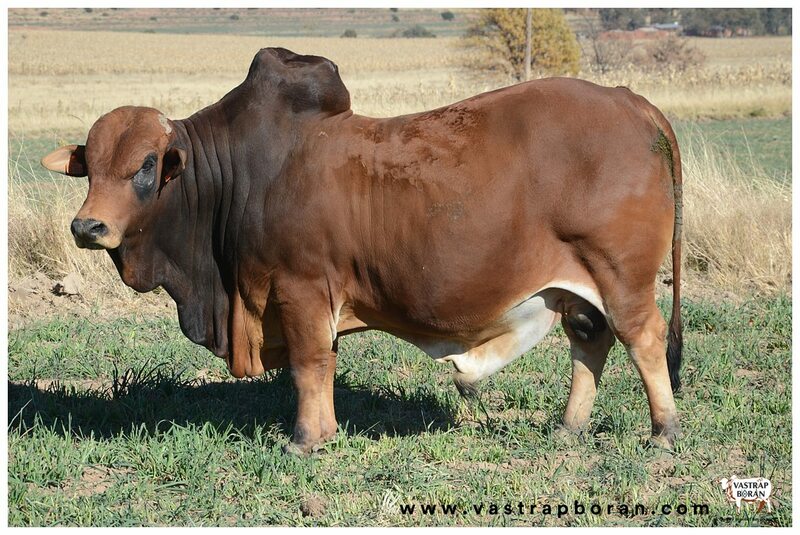 We are proud to announce the sale of our primary stud sire, Rustin MHB 06-30 (Marula 25 x KPO 21) to Eloff Muller from Tambaraine Boran. 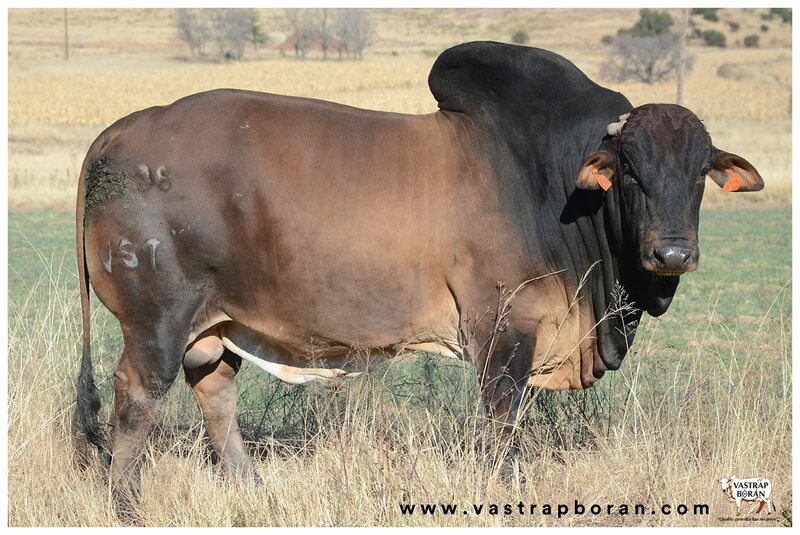 Rustin has been the primary stud sire at Vastrap Boran for the past three years and has left an indelible mark on the herd with his great offspring. He is incredibly virile and has worked tirelessly! 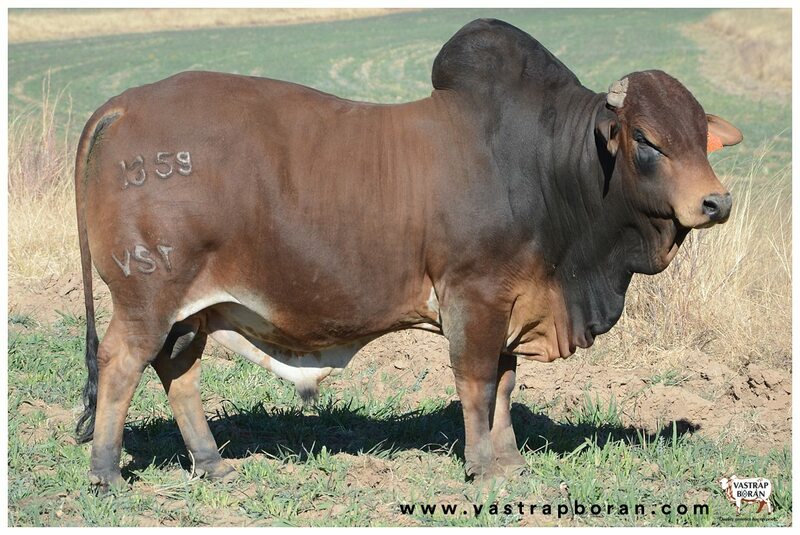 In our opinion, Rustin comes very close to being the perfect Boran bull. 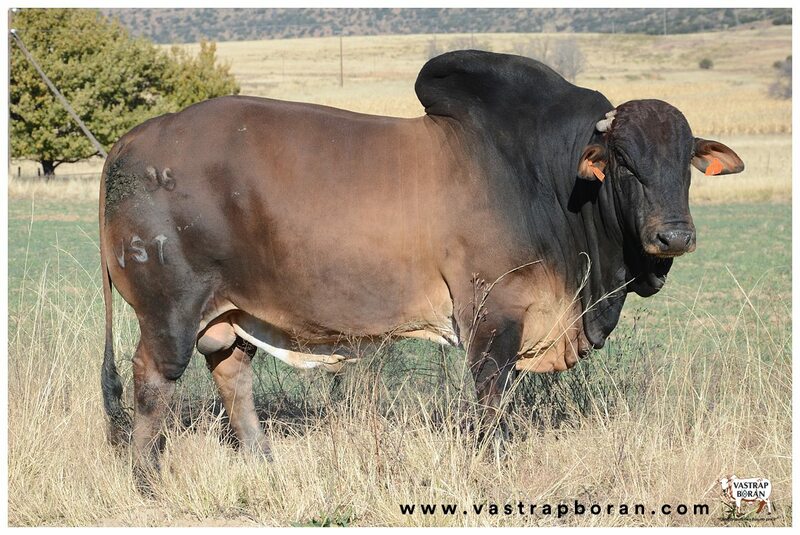 He has a great head, he is broad in the chest, and he has a perfect topline with well defined rib-eye muscles. He is well muscled with strong forearms and hocks. 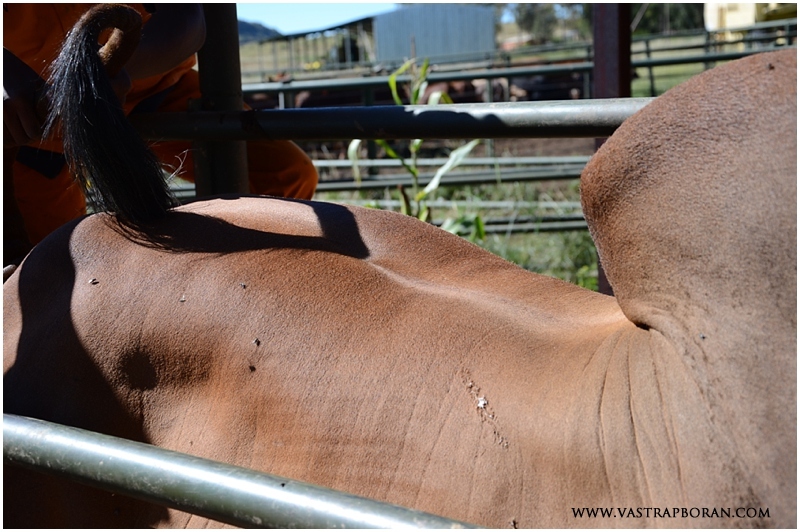 He weighs 780kg in good condition and has excellent capacity. To round things off he has a perfect sheath and an elegant tail which hangs to the ground. Most importantly he is virile and produces fantastic calves! Good bye our Rustin. 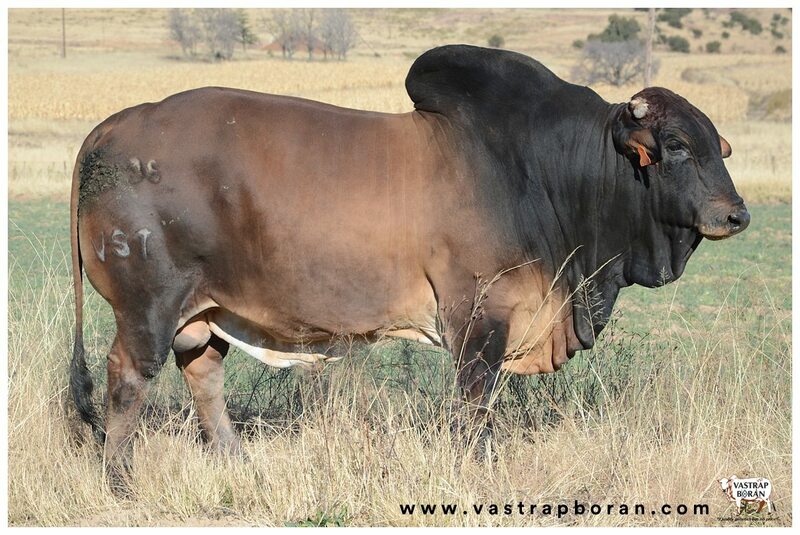 We wish Eloff all the greatest success with this magnificent bull! Showing off his head, broad chest and muscular back (2014). Showing off his broad back and rib-eye muscling. In 2010 as a young bull with a bright future. 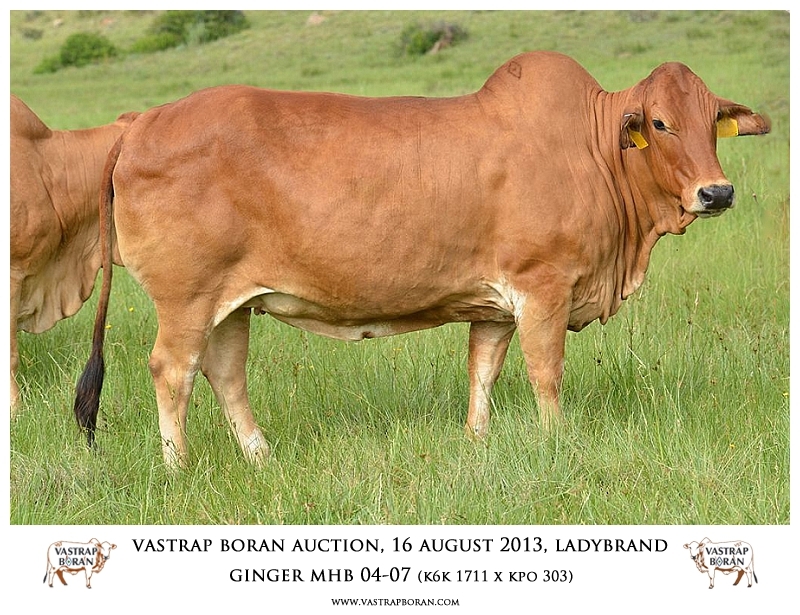 We’ve been very busy finalising our plans for the inaugural Vastrap Boran Sale, which will take place on 16 August at our farm near Ladybrand in the Eastern Free State (click HERE to see where we are located). 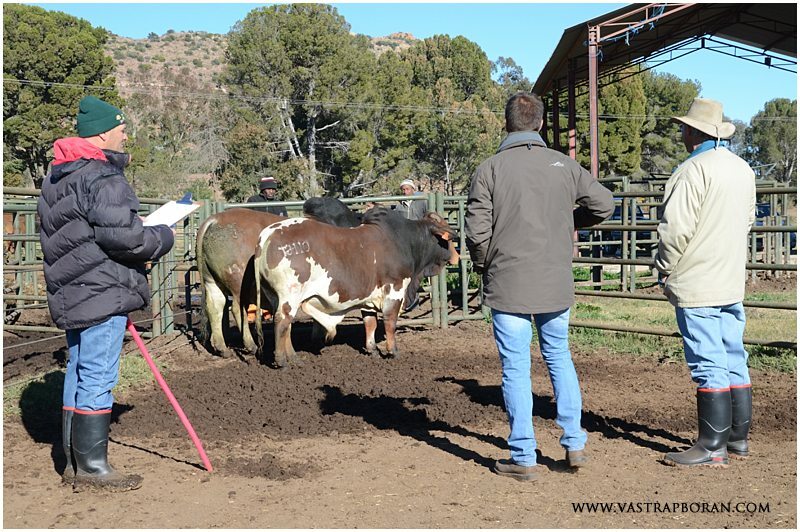 There is so much to plan and organise, but we are very excited to welcome fellow cattle farmers and stud breeders to Vastrap later in the year for our sale. 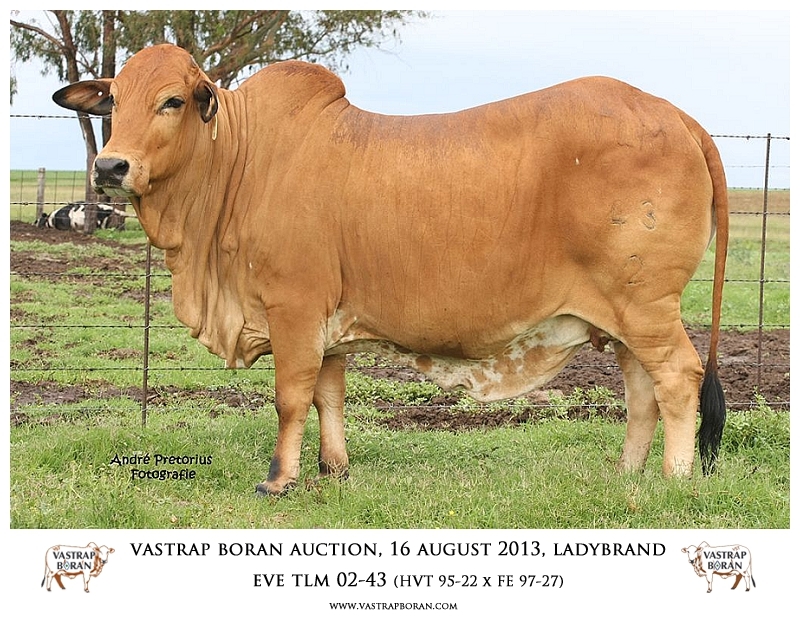 We have been working hard to come up with a concept that makes the Vastrap Boran auction special, one that stands out from the crowd and becomes one of the must-attend auctions of the year. 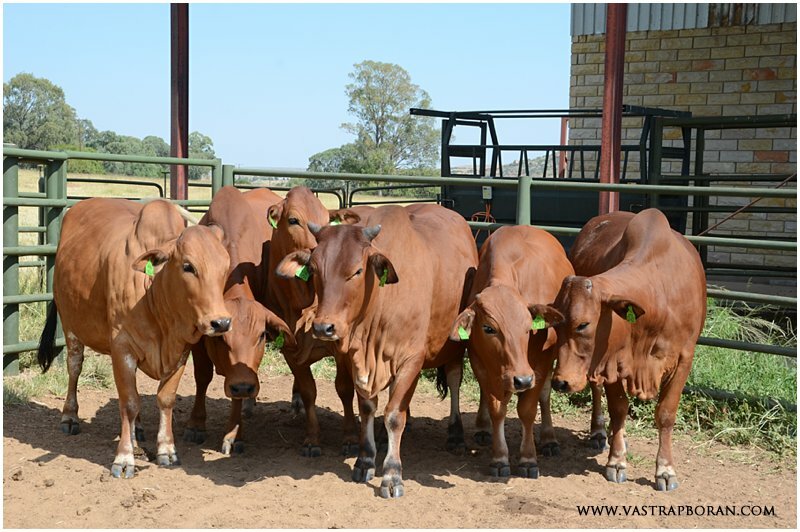 To do this, we are introducing a new sale concept, which will guarantee that we consistently deliver top quality aminals to the market in an open and transparent manner. This year we will be selling all of our registered and pregnant 2004 and older females (no exceptions) and all of our 4 year old bulls. 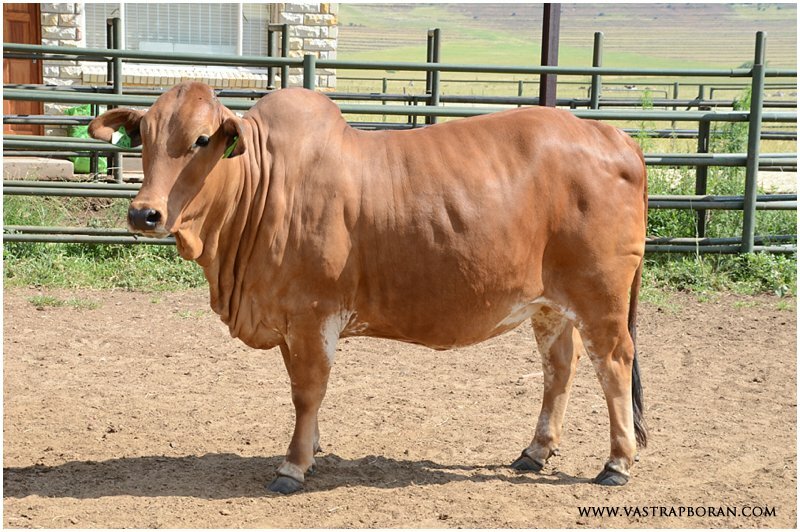 This includes some of the most famous Mollshoop cows such as Hope MHB 04-11 (see The Hope bloodline), Kelly MHB 04-24 (see The Kelly bloodline), Cindy MHB 04-06 and her full sister 04-04 (see The Cindy bloodline). There are also some very rare genetics such as a FE 93-66 daughter and grand-daughter. 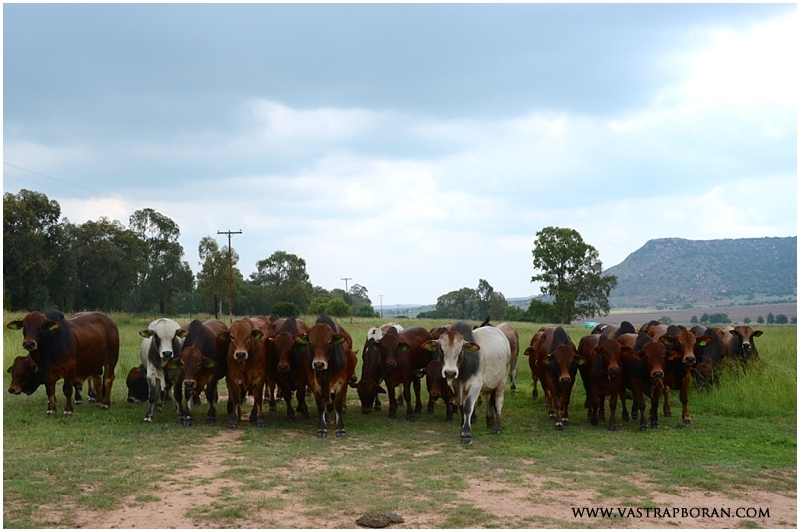 By placing all of our pregnant 2004 and older cows on auction you can be guaranteed that we are not being selective. 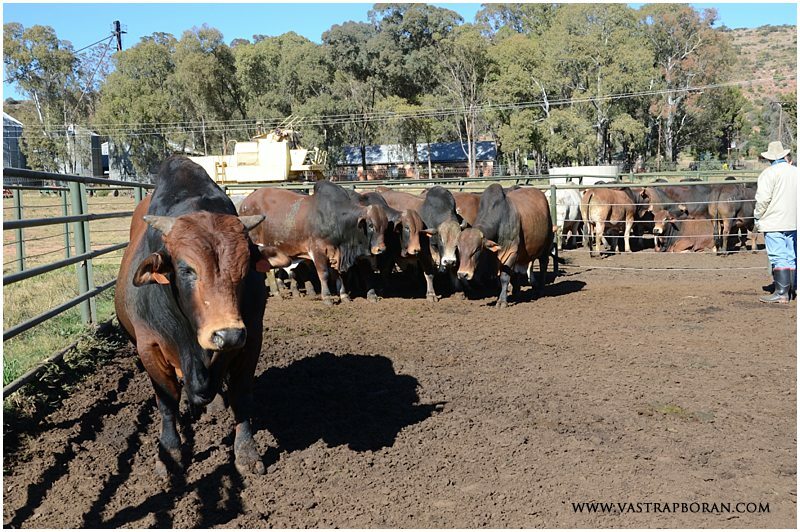 The timing of the sale in mid-August also lends itself to bull sales and again we are not being selective – every single 2009 bull is for sale. This is our first annual auction and we want it to be a success. We will be serious sellers of every animal at the auction so that buyers return in 2014. 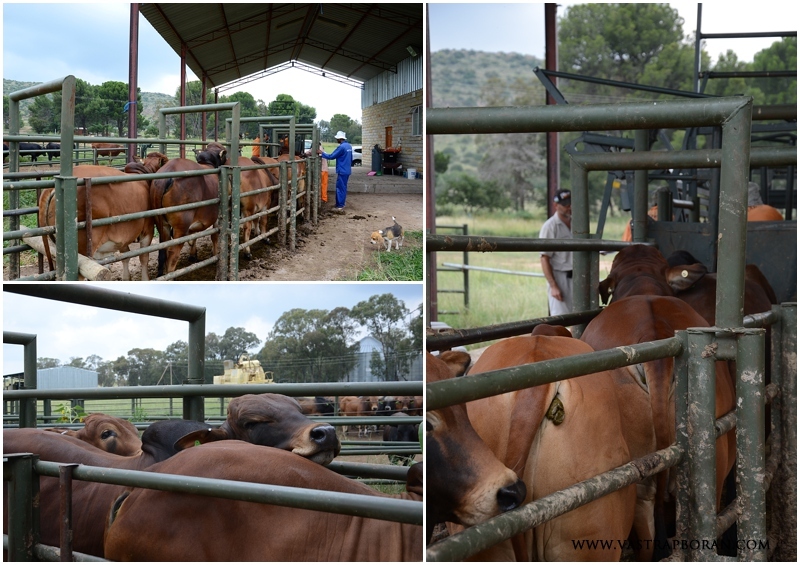 We are having the sale in partnership with Paul Pienaar (Bar Circle), Bernie Staal (Bos Blanco), Keith Peinke (Peinke Ranch) and Stephen Johnson (Frontier) in order to offer more animals, a wider range of genetics and younger female animals (particularly heifers). We look forward to seeing you there. You will not want to miss out on this one! !